Official MorbidMuch summer shirt on sale now! Hey! The official MorbidMuch summer shirt is now on sale! 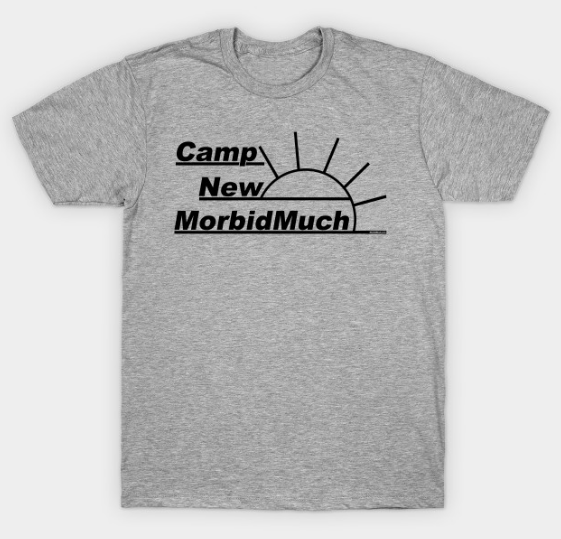 Welcome to Camp New MorbidMuch! The design is obviously inspired by the Camp New Horizons shirts from Sleepaway Camp 3: Teenage Wasteland. The shirt is available on both Redbubble and TeePublic. I recommend TeePublic because the shirts are currently only $14! The design is also available on hoodies and crew neck sweatshirts (if you really want to capture that Teenage Wasteland vibe). If you purchase one, please post a photo or selfie on any social media platform and tag me!